The season's now fall, and that means one thing; I'll be falling a lot, mostly because I'm a self-proclaimed professional klutz of a person. Aside from that, it's now cider szn, which means that drinking any and all forms of cider are now socially acceptable. Regardless of such, no two ciders are the same, and Winc's Eplevin Hopped Cider is here to prove that. 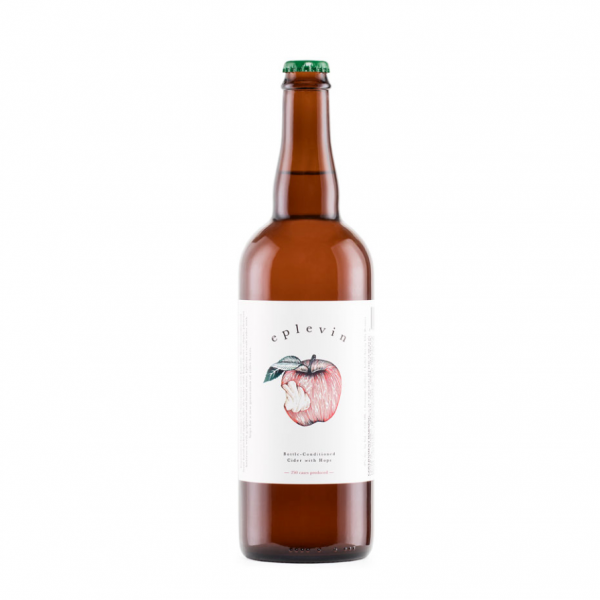 Retailing for $16 with an ABV of 8%, Winc's Eplevin Hopped Cider is a light yet tart craft cider that pairs well with burgers, cured meats, and Indian food. Given that it's a cider, after all, Winc's Eplevin Hopped Cider is made with hand-picked apples and has floral and grapefruit notes. What makes Winc's Eplevin Hopped Cider different from all of the other ciders out on the market would be how it's made. Made in small batches with care throughout each step throughout the process, Winc's Eplevin Hopped Cider utilizes eight completely different apple types along with cascade hops, is then fermented, and then is conditioned in a bottle to create the necessary bubbles that we all need but never admit to wanting in our lives. While most of us (like myself) still aren't over rosé szn, it's time to take a few steps back to sit ourselves down for a talk about how it's time to drink cider now.... like what real adults do I guess.